Contact Durham Art Council regarding an opening in fall 2008 for a pastel instructor. Hours appear to be from 7-9 PM on Thursdays. Please download this PDF for more details and information. Learn the foundations of drawing. Work from a life drawing model in several different drawing techniques and tools. Instructor will supply all materials for this workshop. Course # 70795 is $160 at Sertoma Art Center, Raleigh, NC. For sign up call 919.420.2329. This is the course that will have you painting people the easy way! Subject specific class, open media, all levels. Artists may bring in any media to work from live models Course # 70796 $220 at Sertoma Art Center, Raleigh, NC. For sign up call 919.420.2329. Go here for more details. Sale ends 4/30/08. In preparation for our two exhibitions coming up this summer, the May meeting will be dedicated entirely to critiques, after the usual business meeting. This meeting traditionally has seen a large turnout, but if you have several paintings to bring, please do so! We will endeavor to give each painting some quality time, even if a small amount. There will be goodies, wine and comraderie so mark it on your calendar! New members – this is a great time to mix with the PSNC folks – We hope to see everyone with at least one painting to view! Dan Vaughan has an exhibit at the corporate office of Fleet Feet at 406 E. Main St., Carrboro NC. The exhibit will be up for the month of April and be part of the 2nd Friday Art Walk on April 11 from 6-9pm. 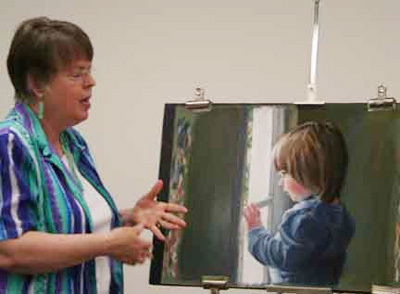 Pastelist Jack Pardue will conducting a plein air workshop in Murfreesboro, North Carolina from May 5-9, 2008. Murfreesboro is a beautiful little river town located between Roanoke Rapids, NC and Elizabeth City, NC and is home to a lovely historic district offering many wonderful places for plein air painting. 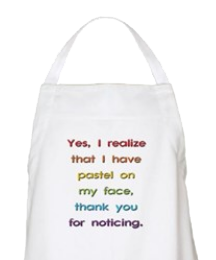 The cost of the workshop is $400.00 but Jack has agreed to offer a 10% discount to any member of the Pastel Society of NC. If anyone is interested in participating, please contact Eddi Lyles or Jack Pardue. The Artist’s Magazine has issued a “Call for Entries” for its 2008 Art Competition. The 25th annual Competition will recognize 250 finalists and award 45 major prize amounts totaling more than $25,000 in cash. The Competition is open to both amateur and professional artists. Artists may enter work in five categories: Portrait & Figure, Landscape, Still Life, Experimental, and Animal Art. First-, second- and third-place winners selected from each category will receive $2,500, $1,250 and $750 respectively. Fifteen honorable mentions will receive $100 each. Top award winners from this year’s competition will be featured in the December 2008 issue of The Artist’s Magazine. In addition, 12 finalists will be featured as “Artist of the Month” on our website, and 13 award winners will be featured in The Artist’s Magazine’s 2009 calendar. All winners will receive a 1-year subscription to the magazine. Entries are also being accepted in the Student/Beginner division, open to artists who have been painting for 2 years or less. First-, second- and third-place winners selected from each category will receive $150, $75, and $50 respectively. Plus, winners of this division will be featured in the magazine’s January 2009 issue. Entries must be postmarked by May 1, 2008. See the website for more details and entry information. Larry will show us proper framing techniques and will utilize critique paintings to demonstrate various matting and framing looks that can be achieved. His excellent suggestions and advice should help prepare all of our members for our two upcoming exhibitions! This is another “don’t miss” program for PSNC members & visitors! Visit his website to see his framing studio! Check out this online article in The Mountain Times about our PSNC show last November. Featuring a painting by Betty Hendrix. 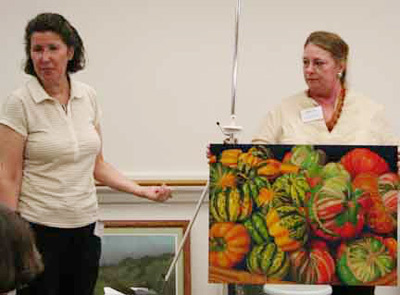 This is an eight week class with dates of April 10 – May 29, 2008 from 7:00-9:00 PM at the Durham Arts Council. Class Description: Painting with pastels. Paint the natural world with pure color! Soft pastel offers variations in application fro clean edged detail to rich painterly strokes. Since our concentration is on realism, we will focus on techniques to ensure correct values and shapes, compositional relationships and basic color theory. We will explore the variety of soft pastels available and their usage as well as information on types of paper and tips on framing. All levels of experience welcome! Check the DAC website or call 560-2725 for a materials list. The International Association of Pastel Societies (IAPS) announces its 7th Biennial Convention Catalogue Cover Competition, which indeed has only one overall winner. Prize includes an $100 award, two points toward your IAPS Master Circle status, your winning painting published on the 2009 IAPS Convention Catalogue and included in other international convention publicity, and the distinction of having your original painting on display at the Convention in Albuquerque, NM from May 28 – 31, 2009, in view of hundreds of convention-goers, pastel product people, and renown pastel artists. Slide entry postmark deadline is October 10, 2008. Don’t miss this great opportunity. Copies of the 7th Biennial Convention Catalogue Cover Competition prospectus will be available soon from your IAPS Representative or Society President, and on the IAPS web site at www.pastelinternational.com. We are happy to report the following awards for PSNC member Patricia Bevan in 2007! Honorable Mention Award in “All Critters Great and Small” exhibition. Annual regional theme exhibition, sponsored by the Blacksburg Regional Art Association and League of Roanoke Artists. Annual national members’ juried exhibition, sponsored by the Southeastern Pastel Society. Award of Merit in “New River Art 2007” exhibition. Biennial regional juried exhibition, sponsored by the Montgomery, Roanoke, Radford, and Pulaski County Art Associations. Honorable Mention Award in “Pastel 100” exhibition. Annual national juried exhibition, sponsored by “The Pastel Journal” magazine.